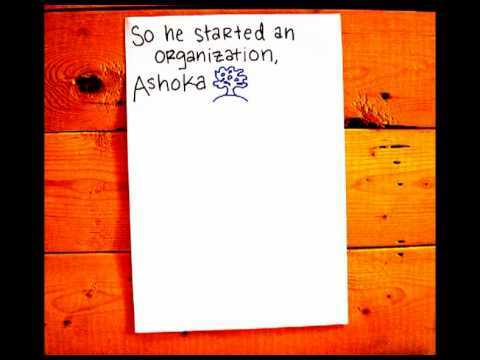 Youth Venture shares Ashoka vision of an Everyone A Changemaker™ world. A world that responds quickly and effectively to social challenges, and where each individual has the freedom, confidence and societal support to address any social problem and drive change. Connecting our Venturers to a global network of changemakers. The clearest path to becoming a changemaker is to take initiative while you’re young demonstrating to yourself and your community the capacity of youth to make a positive contribution. Everyone can be a changemaker regardless of race, color, national origin, age, disability, gender and sexual orientation, religion, or political beliefs. Individuals who are and perceive themselves to be changemakers are more likely to be successful in life. They are more likely to be better educated, to be economically independent, to have a fulfilling career, and to be positive contributors to society. Communities – e.g. schools, institutions, cities and even businesses – that have a higher percentage of changemakers are likely to be more successful in a more complex world. The Dream It Do It Challenge (DDC) is a series of facilitated engagements that guide a cohort of young people (ideally ages 12-17) towards launching their own social ventures. Each of the four, six-hour sessions (which can be further broken up) is anchored by a set of core activities that support participants in each distinct phase of venture implementation, from the genesis of the original idea, to execution, initial financing, and implementation. Throughout, participants examine local, societal and global issues; share ideas and personal experiences; and refine plans and engage in teamwork, public speaking, and peer support. With each workshop, participants move towards a greater level of innovative and creative thinking; goal orientation; and refined problem-solving skills. Each team selects an Adult Ally, who provides mentoring and support to the team as needed. Within all of the tools and activities that we use in the DDC lies an essential clarity of purpose – to support and guide young people as they prepare and then launch a Venture. With this intentionality, activities are sequenced to complement and build on each other, eliciting increasingly complex and nuanced modes of thinking and analysis. As participants engage in this process they will be encouraged to think about and reflect on who they are, and on their relationships with others; to “listen” to the perspectives of their peers, and to understand the value of engaging with individuals who may hold different or competing opinions; to think creatively; to problem-solve; and to work together to construct and then answer their own questions. Engage different schools and disciplines through research, implementation, and student engagement. Ashoka’s Youth Venture Ambassador Jessie Mehrhoff. Discover more about Ashoka’s work around the world. Join an online community of action where we all collaborate on solutions. Submit ideas, nominate, discuss, and vote. Learn about new approaches to social entrepreneurship teaching, research, and action. Join a global community of youth changemakers with opportunities for start up funding and mentorship. This entry was posted in Changemakers on 26 January, 2013 by Peacefull.